PHOTOS-VIDEO OF SHOOTING>>>> RUSSIAN AMBASSADOR Andrey Karlov Shot Dead in Turkey -- Assassin Was Shouting "Allahu Akbar!" The Russian ambassador to Turkey Andrey Karlov was shot today in Ankara. 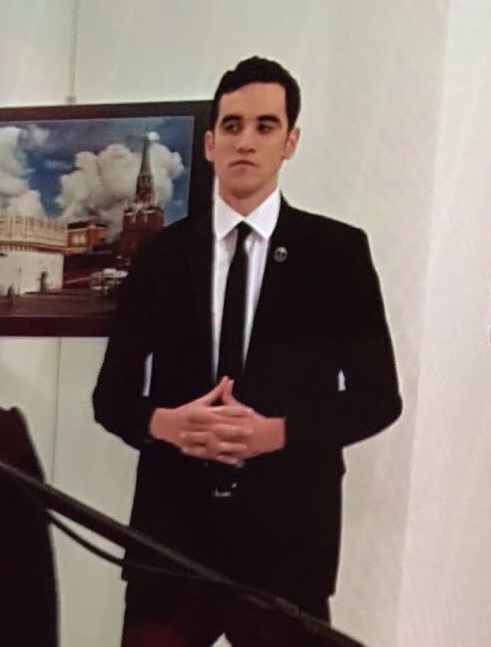 A photo of the Russian ambassador on the ground was posted on Twitter after the shooting. This is reportedly a photo of the assassin! At least 4 people were reportedly injured in the attack. The local media says the ambassador is dead! Hurriyet newspaper says that the gunman is still in the building. The wife of Andrey Karlov was seen crying. There are reports the ambassador is dead.